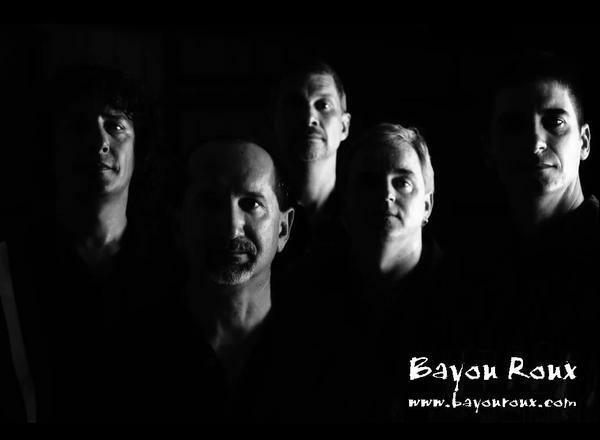 Like the many tasty ingredients in a simmering pot of gumbo, the Cajun rock band Bayou Roux has blended years of diverse musical backgrounds into a unique sound that they like to call the “Cajun Commotion™”. 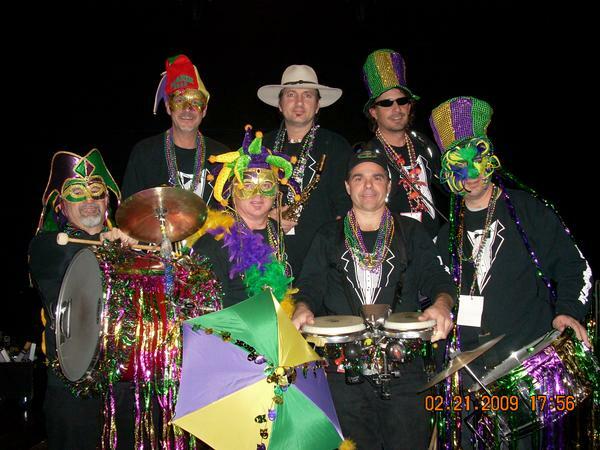 Founded in Houston, Texas in 1992 by Keith Dupuis, Mike Bourgeois and Ted Lee, all three from the Lafayette, LA area, Bayou Roux has grown from what they call a “goofy little garage band that came out of nowhere” into one of the most recognizable, good-time party bands on the US Gulf Coast. Keith Dupuis is an eclectic mix of Led Zeppelin, Aerosmith and classic Louisiana accordion legends such as Iry LeJeune, Lawrence Walker and Clifton Chenier. Ted Lee is a baby-boomer bassist brought up on groups like The Beatles, Deep Purple, Steely Dan and Tom Petty & the Heartbreakers. Mike Bourgeois is a former drum corps and USAF military drummer, influenced by the rhythms of Van Halen, Rush, Country and sophisticated Jazz. Ken Reynolds, a true guitar virtuoso who joined the group shortly after its inception, has played it all from Cajun to Country, Rhythm & Blues to Rock and Jazz. Dwayne Boehnemann, the newbie of the group, is a honky tonk style keyboardist who has country in his veins having grown up on a farm tractor tuned in to Floyd Cramer, Boots Randolph, Johnny Cash and Merle Haggard. What a recipe. What a sound. Fans have found that a pinch of rock, a scoop of county and a heapin’ helpin’ of down-home Cajun/Zydeco heritage heated to the boiling point makes for a musical experience like no other. 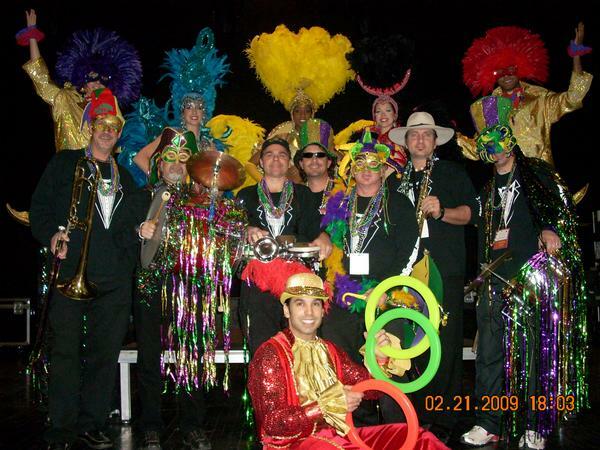 After being together for four years the guys felt that it was time for Bayou Roux to make its first record, so in September 1996 the boys made the trip back to the Bayou land of Lafayette, LA and to La Louisianne Studios, where they turned out the album “Have A Taste” basically over a weekend. “Have A Taste”, consisting of eight cover tunes and three originals, was laid down on two-inch tape and originally released only on cassette. 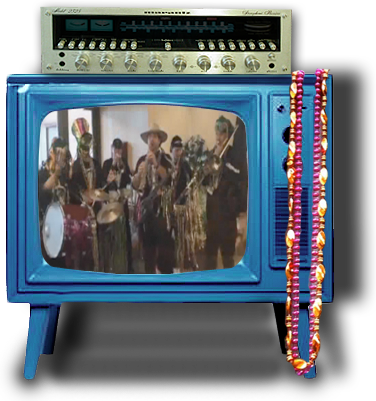 Though the album missed the start of the digital revolution, “Have A Taste” hit the mark for fans of Bayou Roux. In early 1999, Bayou Roux entered the studio again for the group’s second record titled, “Pass The Rice”. On this album, the group recorded eight original songs and three covers “Pass The Rice” was recorded at Nexus Studios in Houston under the supervision of producer Duane Propes of “Little Texas” fame. In 2002, the group hit the studio once again to record their third album entitled, “Bayou Groove”. Nicknamed “Groove” by the band, the album featured 13 original songs and one cover tune. The album was musically diverse, showcasing the songwriting of the group and crossing over many styles of music. Recorded at “The Studio” in downtown Lufkin, Texas, and guided by producer Ravyn Dixon, “Bayou Groove” offered a somewhat different sound from the group’s previous recordings. Itching to record again at the end of 2005, Bayou Roux decided that it was time to come home musically. The album “Have Another Taste” was released in April, 2006. The album included several fan favorite songs that were not previously recorded by the group as well as updated versions of some of the tunes from the original “Have A Taste” album, released ten-years before. “Have Another Taste” was recorded in the same spirit as “Have A Taste” had been, as an ensemble, over a couple of weekends and, for the first time, featuring Dwayne on keyboard and vocals. One might think that working together since 1992 would tend to make these guys a bit, well…bored, but honestly, nothing could be further from the truth. “You know, the best part of being in Bayou Roux is getting to play music with your friends and having a good laugh, because this is still a lot of fun for all of us,” said Ted. “There are so many options open to us today,” says Ted. “This technology stuff is really amazing. We still get regular radio airplay in the US and we get a lot of attention worldwide through the internet. We have friends and fans worldwide now and you just never know where the next opportunity will come from. Today, we are working toward live internet broadcasts, podcasting, radio programming and international touring. Believe me, there are a lot of ideas being tossed around now." “You know, this group came out of nowhere and I’m really proud of what we’ve accomplished, but mostly, I’m happy that we’re still great friends after all these years,” said Ted. “We’re all just having fun making good music and when it stops being fun . . . we’ll just quit.” Fans hope that the fun continues for a long, long time. © 2010 Bayou Roux. All Rights Reserved.